The Reva Halo EV Sports Car. 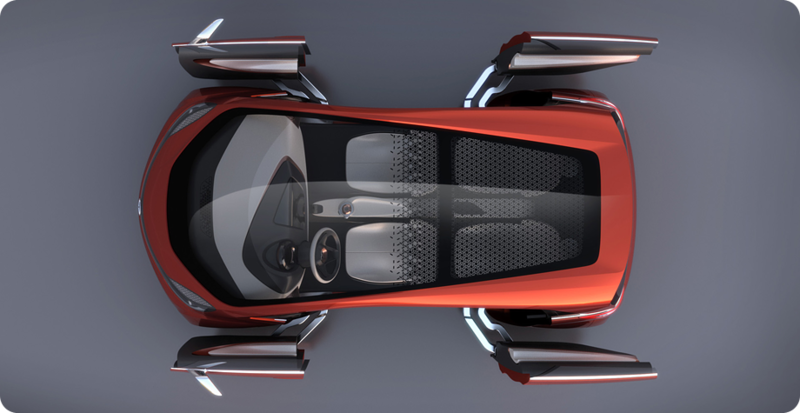 This article, Reva Halo EV Sports-Car — Mahindra Unveils Latest Concept, is syndicated from Clean Technica and is posted here with permission. The Tata Motors Megapixel Range-Extended-Electric-Vehicle has All-Wheel-Drive, a 900 kilometre range, and a tiny 1-cylinder engine to recharge the battery! Image by Tata Motors. 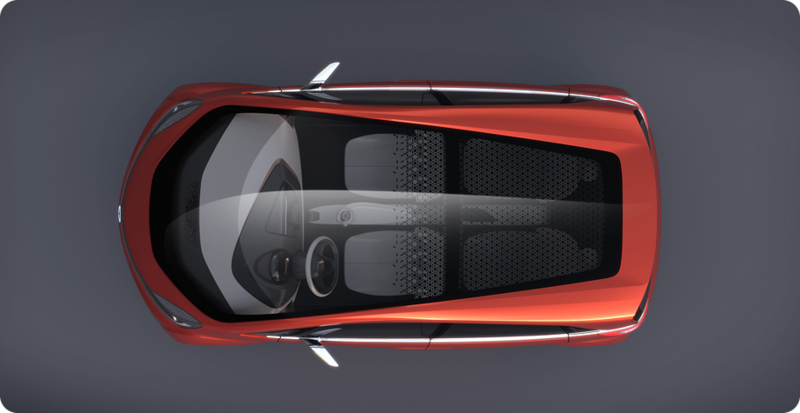 The Tata Megapixel will have a fuel tank — although strictly speaking, power to the wheels will come from battery power alone. An onboard single cylinder 325cc gasoline-powered engine is referred to in Tata’s corporate literature as the Auxiliary Power Unit (APU) is merely ‘along for the ride’ to recharge the batteries while the car is being driven. Megapixel’s APU will start up and shut down automatically at various times during trips to keep the batteries charged. Tata Megapixel boasts a 900 km range per tank of gas. One novel All-Wheel-Drive (AWD) method is to have four independent electric motors (one 10kw motor at each wheel) putting the power to the road. It is a very interesting approach and Tata Motors has taken full advantage of one of the new opportunities that EV technology can allow. 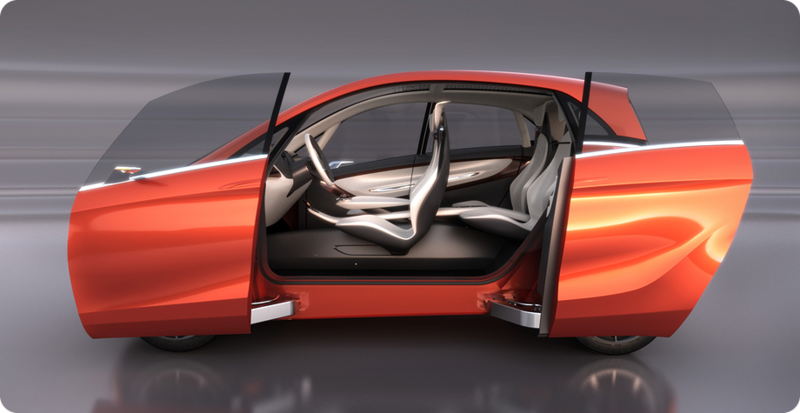 I hope we’ll be seeing more of this as EV’s take a firmer hold in the automotive marketplace. For those nasty parking challenges, the Megapixel’s steering gear allows the car to have a zero turn-radius. Other features that drivers will find attractive once this car hits production is a hands-free inductive charging pad and a sophisticated smartphone interface which connects seamlessly with the Megapixel’s electronics. All in all, one can’t help but be impressed by this tiny, but stylish contender. It will be a pleasure to post updates as more information becomes available. 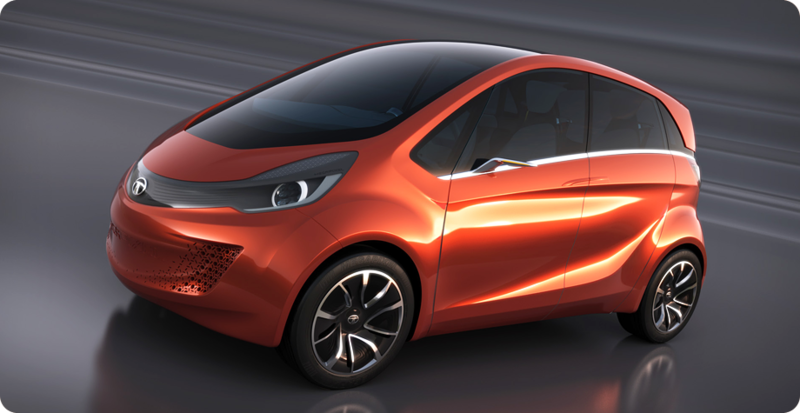 The Tata Megapixel may turn out to be the smartest, smart-car yet. To visit the Tata Motors Megapixel website, click here. The Tata Motors Megapixel. Image by Tata Motors. Tata Motors is India’s largest automobile company, with consolidated revenues of Rs. 1,23,133 crores ($ 27 billion) in 2010-11. Through subsidiaries and associate companies, Tata Motors has operations in the UK, South Korea, Thailand, Spain and South Africa. Among them is Jaguar Land Rover, the business comprising the two iconic British brands. It also distributes Fiat cars in India, and has an industrial joint venture with Fiat in India. With over 6.5 million Tata vehicles plying in India, Tata Motors is the country’s market leader in commercial vehicles and among the top three in passenger vehicles. It is also the world’s fourth largest truck manufacturer and the third largest bus manufacturer. Tata cars, buses and trucks are being marketed in several countries in Europe, Africa, the Middle East, South Asia, South East Asia and South America.